A few months ago I was having a conversation with a good friend of mine about how much I love products that give my skin a dewy glow. 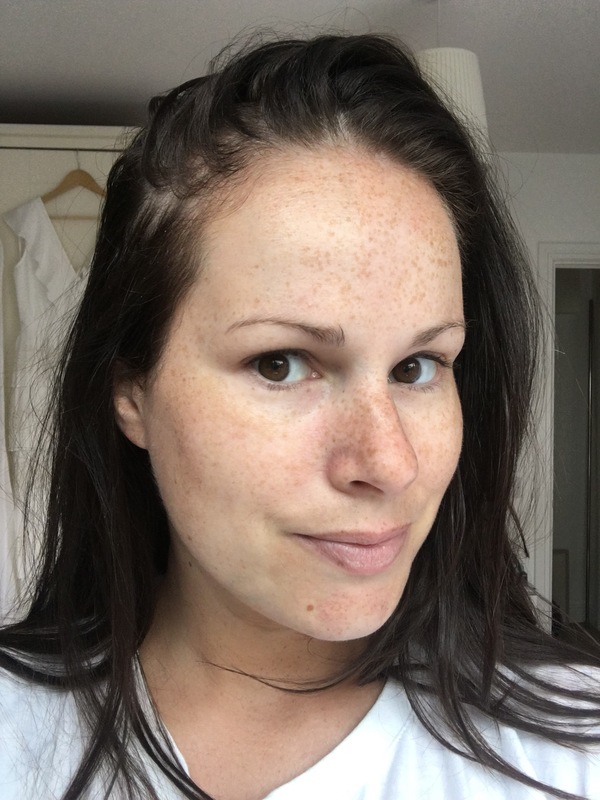 I have naturally very dry skin so in order for my face to look fresh, I’m on a constant hunt for the best dewy and highlighting products to make my skin look glowing. Anyway, while we were chatting she asked me if I had ever tried the Charlotte Tilbury Wonderglow primer, to which I replied ‘no, but tell me more immediately!’. 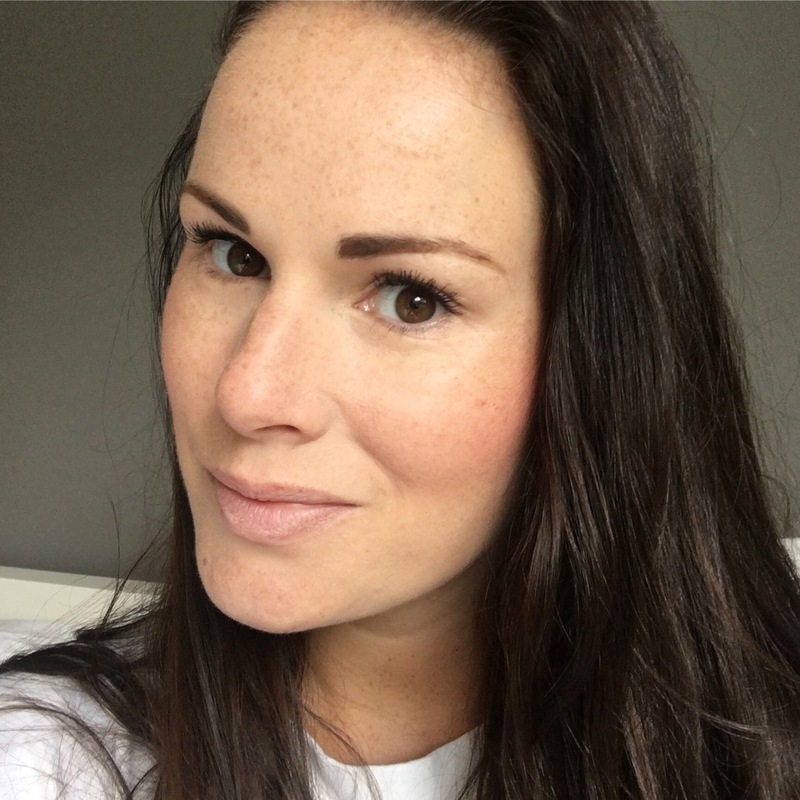 It is one of her favourite products, she swears by it for giving her face a lovely glow, and it wasn’t long before she convinced me that it was the next beauty product I had to try out. So naturally I ran out the next day to buy it and see what all the fuss was about. Now, the thing is, I have a weird relationship with Charlotte Tilbury products. I don’t know why but some of her products I’d live and die for, and others I find a bit ‘meh’. It’s really hit or miss for me. For example, her Retoucher Concealer Pen I literally couldn’t live without, I use it every day religiously and it’s a firm favourite of mine (if you want to know more you can read my review here). I’m also a fan of her lipsticks and eyeshadows. But, when it comes to her Magic Cream, I am completely underwhelmed. I don’t dislike it, but I wouldn’t really consider it a moisturiser and therefore, if it’s a moisturiser you’re looking for, I don’t think it’s worth the hefty €90 price tag that accompanies it. 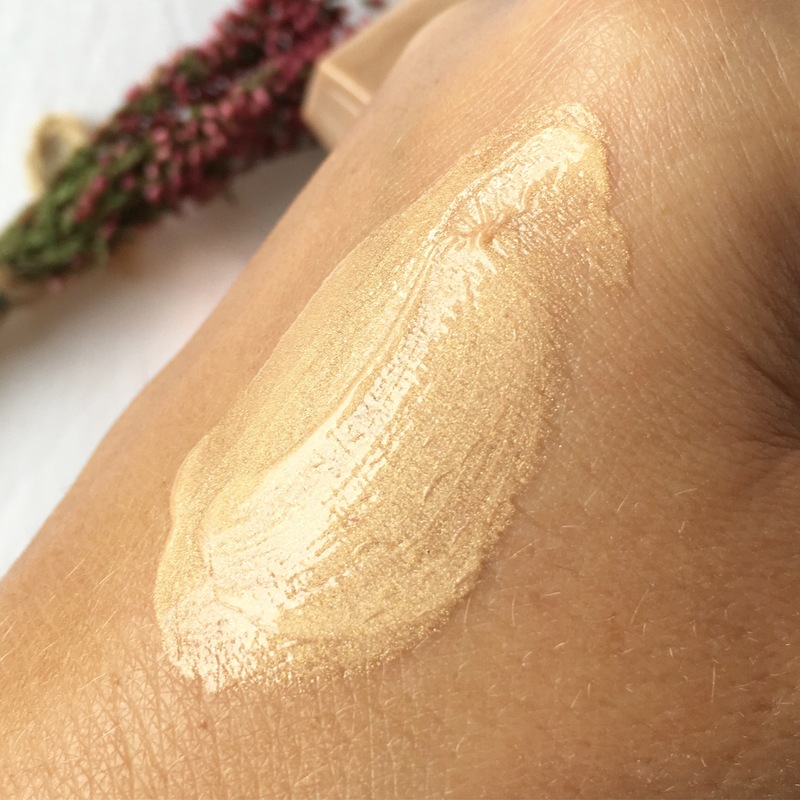 I found it acted more like a primer than a moisturiser, and it was one of those products that just left me feeling a bit confused by really (you can read my full review on it here). 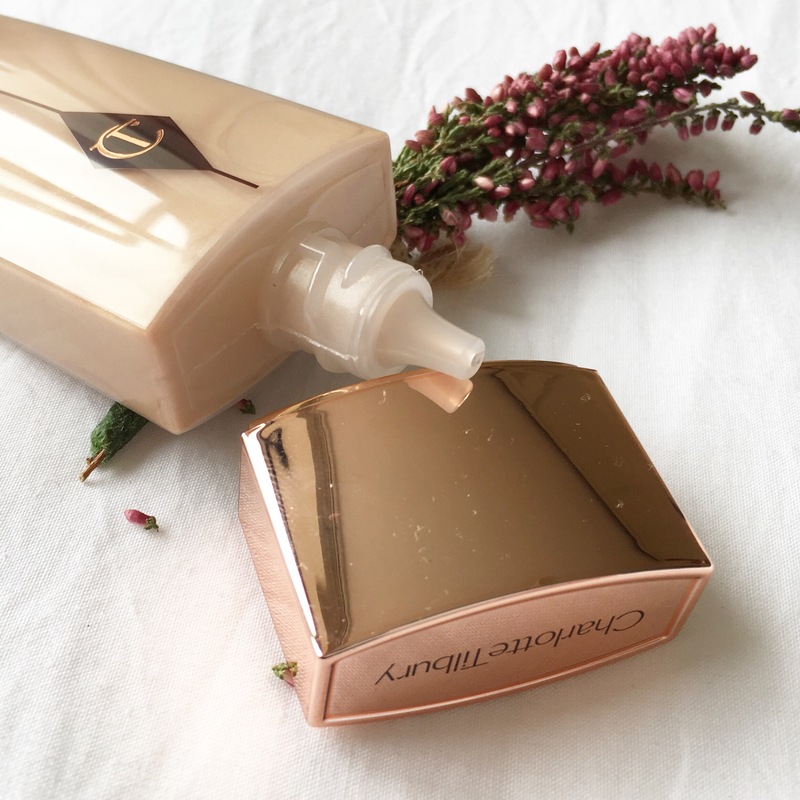 On first impressions I was totally in love with the packaging, as I am with all Charlotte Tilbury products. She knows good branding and packaging that’s for sure, and who doesn’t love a pop of rose gold? It’s all the rage these days! But now down to the product itself. The smell is similar to that of the Magic Cream, almost floral and maybe a bit strong for those who don’t like scented face products. I don’t mind the scent though once a product works and I have to say, I was more impressed with this than I was with the Magic Cream. 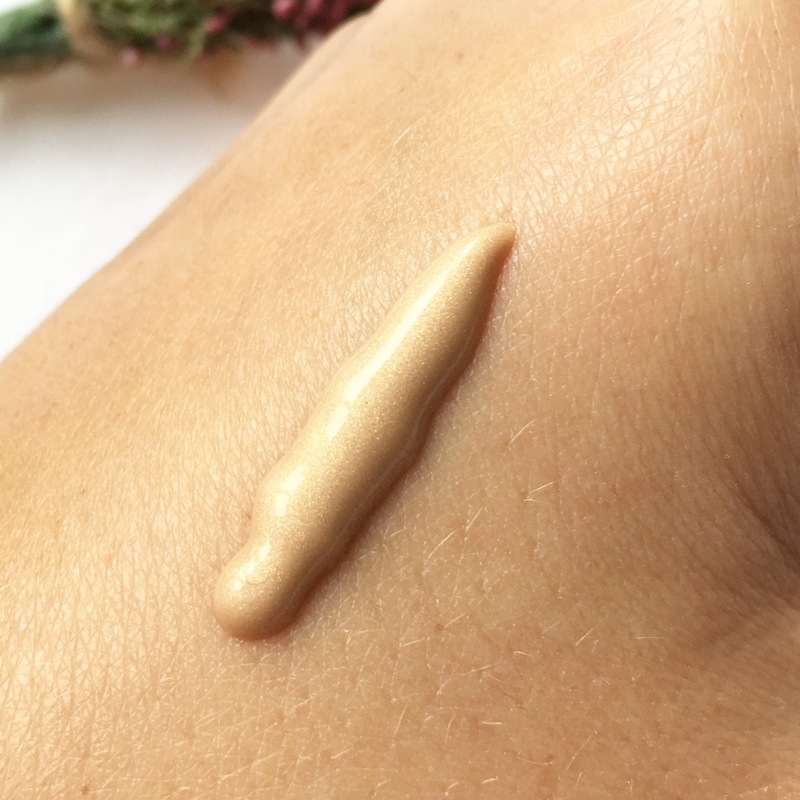 I would describe it as a liquid and it is much wetter than other primers I’ve used, but it still has a creamy consistency and soaks well into the skin. 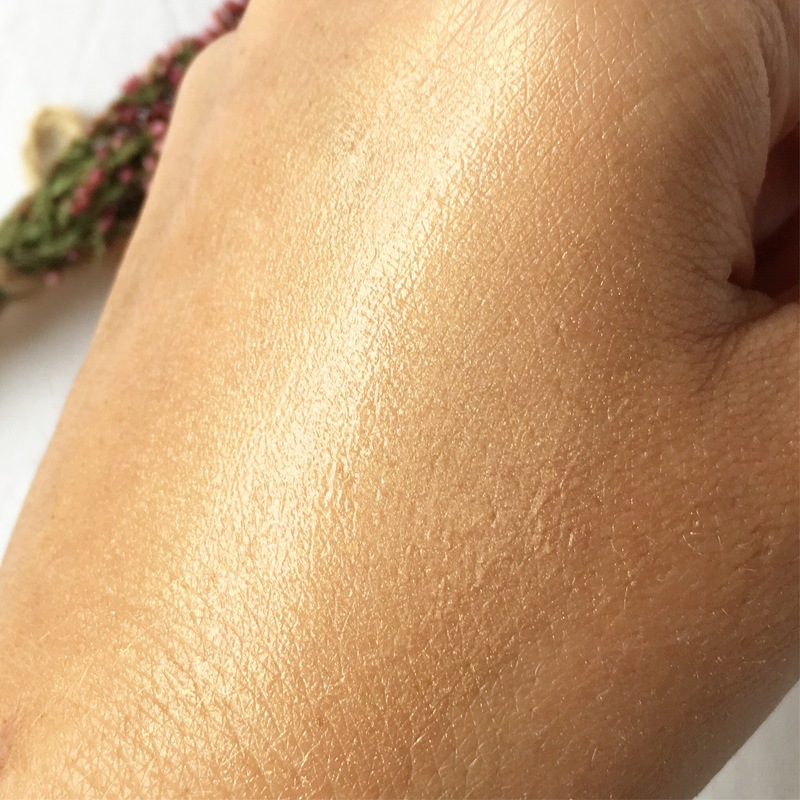 It is quite shimmery, moreso than I had expected, but it does give your skin a nice glow. 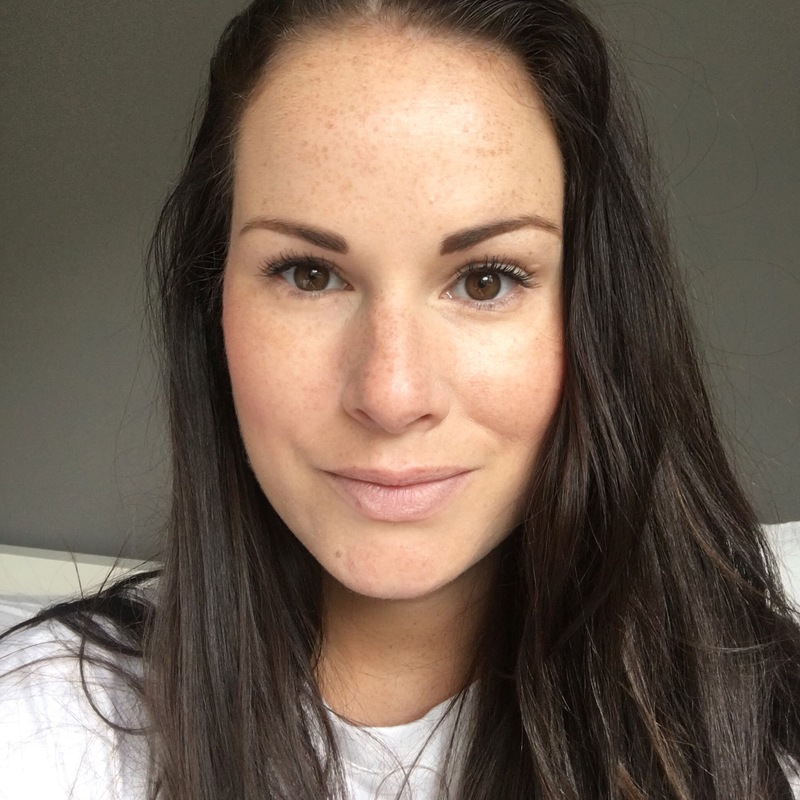 The first time I applied it I almost balked because I found it to be quite glittery which was definitely not the look I was going for, however, after putting my foundation over it, the glitter effect fades and you are left with a fresh faced look. In terms of the effect it gives your skin texture, in all honesty it doesn’t give anything. It doesn’t smoothen my skin like other primers, and I’m not convinced it holds my makeup very well either. For me, I only really wear primers for the purpose of holding my makeup in place for as long as possible, so is it a great primer? I don’t think so. BUT. And there is a big but here. It is a gorgeous brightening product. My skin definitely glows when I wear it, and also has a much fresher look about it. 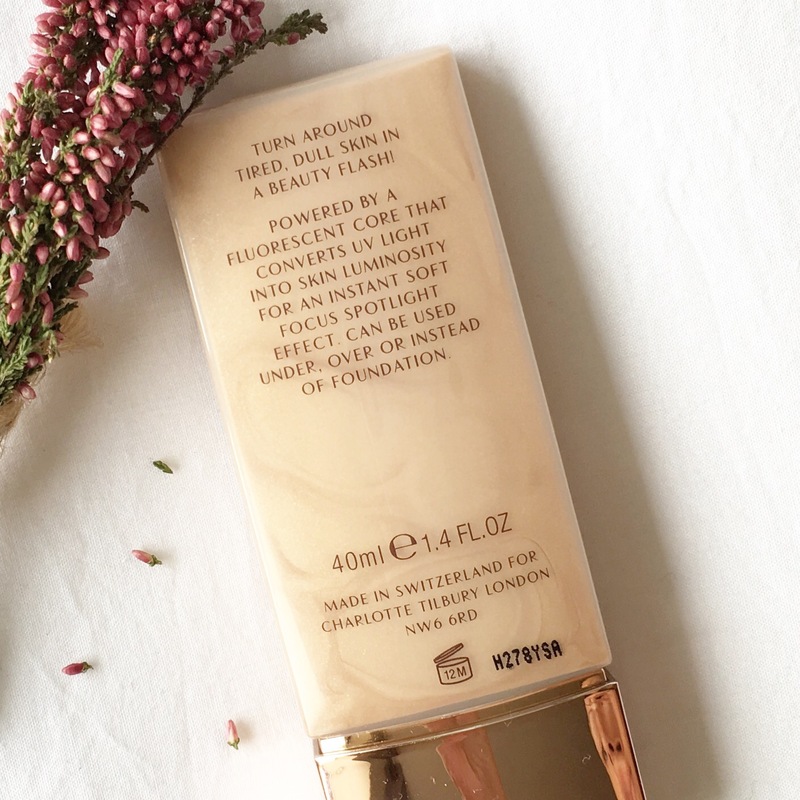 According to Charlotte Tilbury, the product contains a florescent core light diffuser which ‘steals UV light from its surroundings‘. Now whether that’s true or not I don’t know, but I certainly have noticed my skin looking brighter and more dewy each time I wear it. I’m sure you all know by now any product that brightens the skin gets a major thumbs up from me and this is certainly getting a thumbs up so far. Because I still use a separate primer, I tend to wear Wonderglow over my foundation on my cheeks and other areas of the face I want to brighten and highlight, and I’m really loving the effect it gives my face. I won’t use it as a primer, but I’ll definitely use it, in fact I could see this becoming a staple in my makeup bag. Plus you get a lot of product in the 40ml tube so this is going to last for ages. The price tag on this is €49 so this is a luxury purchase. If you like the sound of it though, my advice would be to go to your local Charlotte Tilbury counter and ask for a tester pot, or get them to apply it on you in store to see if you like it first. If you have dull or dry skin like me that needs brightening then this could be for you. 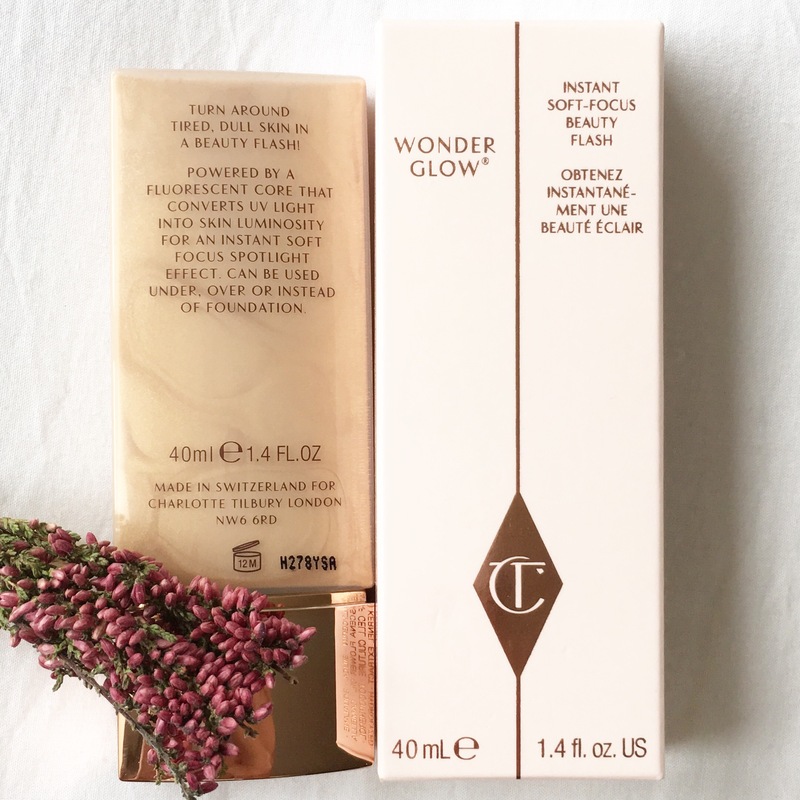 Have you tried Wonderglow? If so I’d love to hear your thoughts. When researching the product I found very few reviews online so I’m very interested to hear what you all think! Ive been using Wonder Glow since it came on the market and to be honest I couldn’t live without it! 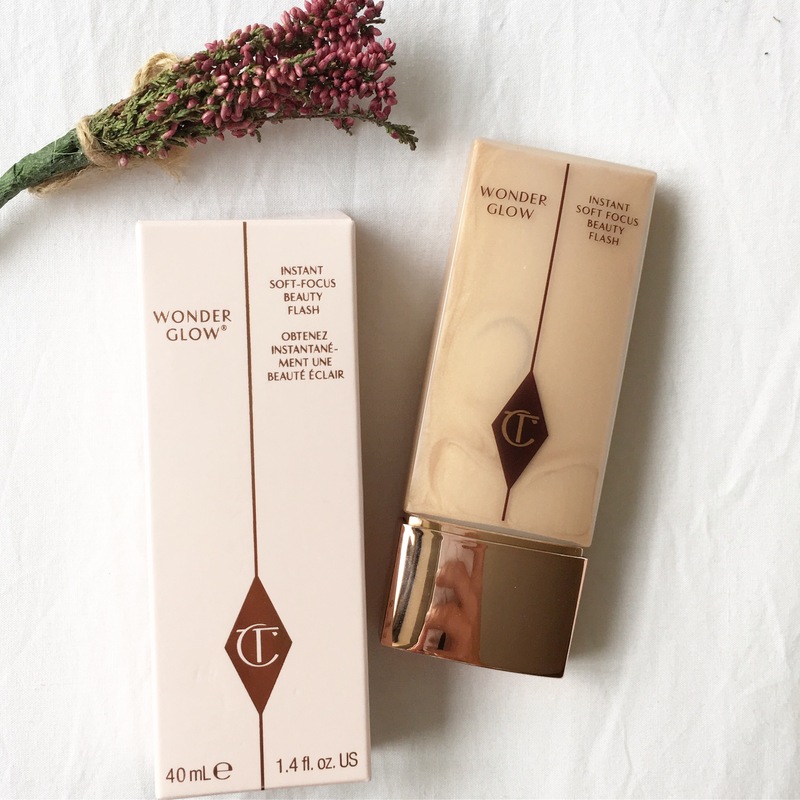 I also use the Lignt Wonder foundation on top and the effect is an amazing natual polished look that lasts. They also take years off me! !